Frost protection for plants and tips for protecting your fall gardening from frost. Fall gardening is a great way to extend your growing season or get a fresh start if you've had a terrible summer. Here in Oklahoma, we just went through a blistering summer with temperatures well over a hundred degrees each day from June through the beginning of September. It was all I could do to keep my garden alive; harvesting any produce was out of the question. Fortunately, now that it's October the temps are cooler, we're getting tomatoes and squash, and my peas, carrots and green beans look promising. Unfortunately, there's supposed to be freezing temperatures later this week. 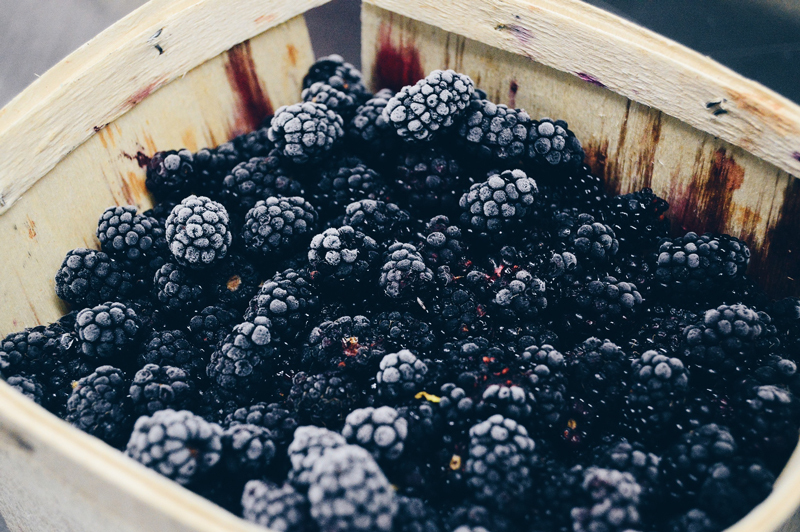 And there's the dilemma: how to provide frost protection for plants in your garden so you can enjoy the harvest of all that hard work. Naturally, if you do plan on growing a fall garden, the wisest choice is to start with plants that don't mind a little frost. Peas are a good choice, as well as root vegetables such as carrots and turnips, and broccoli, green beans, cabbage and kale. Keep an eye on the extended forecast and watch out for any predictions of low temperatures. That way you'll have time to take precautions and protect the plants in your garden should freezing temperatures arrive. Also, ease up on the fertilizers. 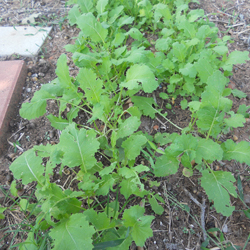 Fertilizers encourage your plants to put out new leaves that are too tender to survive freezing temperatures. So when the weather gets down to about 70 degrees Fahrenheit during the day, stop all fertilizing. Plastic tents provide excellent protection from frost. Your plants and the soil around them absorb and store heat during the day. But at night they quickly lose that heat and can get even colder than the air surrounding them. 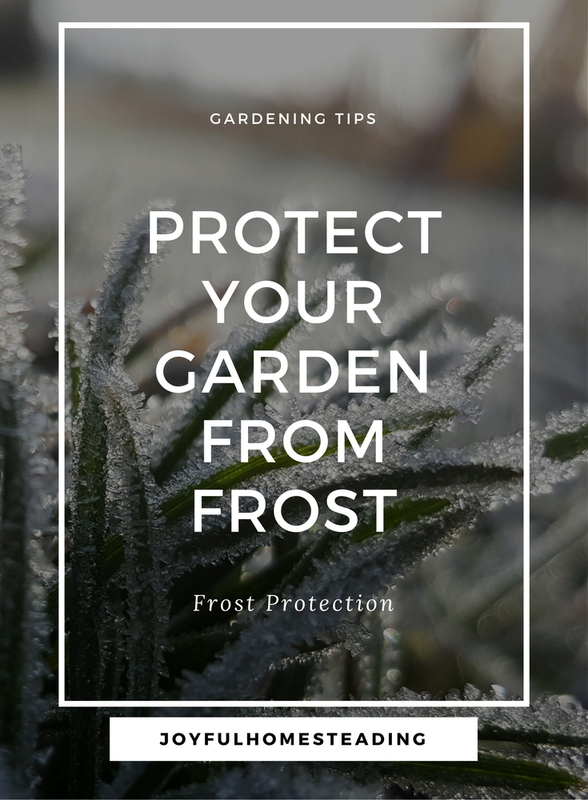 Plus, when the temperature reaches 32 degrees Fahrenheit or colder, moisture in the air condenses into dew and can freeze, damaging the cells in your plants. 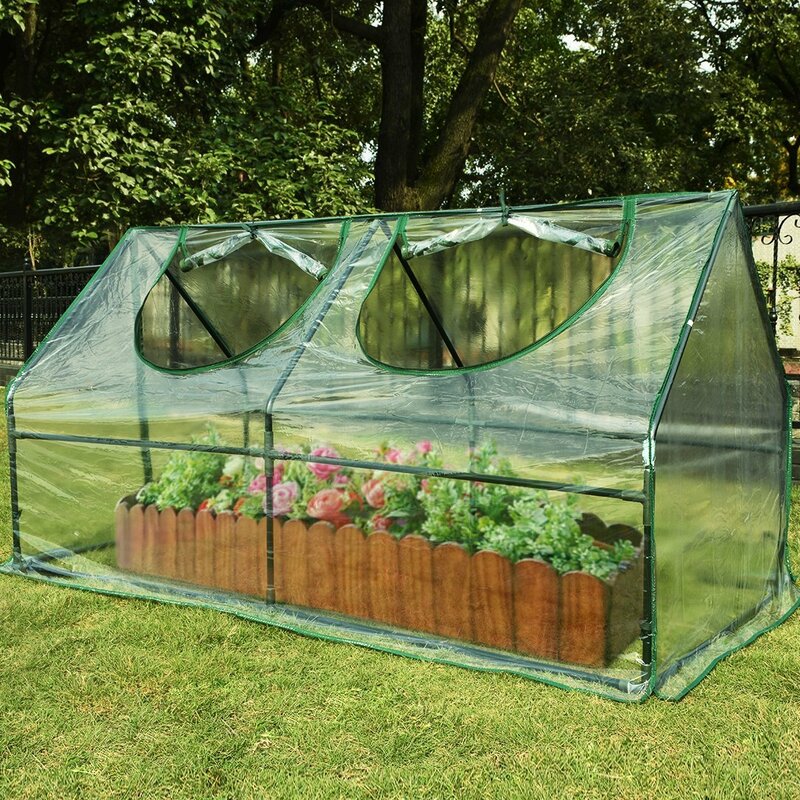 A portable greenhouse, like this one, will protect your plants from harmful frost. Prevent this from happening by watering your plants late in the afternoon and also by constructing a simple frame around your plants or garden rows. Your frame doesn't have to be anything fancy; stakes or tomato cages will work well for this. Then drape plastic over these frames to help hold in the heat. Once the frost has thawed in the morning, you should then remove your plastic tent.